In every aspect of my life, I have trouble finishing what I start. I could say a lot more about this, but since this is a knitting blog, I’ll just leave that as a fact. 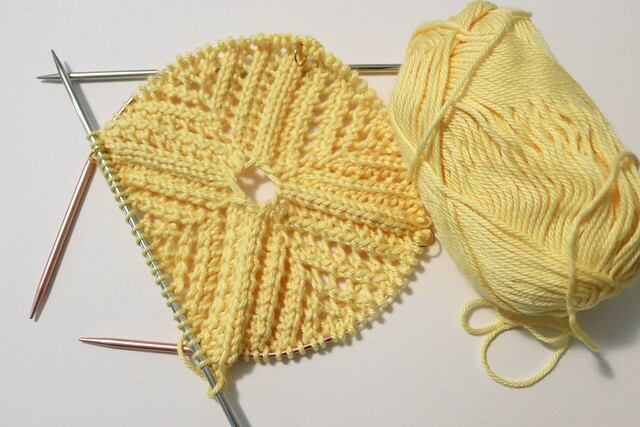 Still, is there any thrill so great as starting a new project? 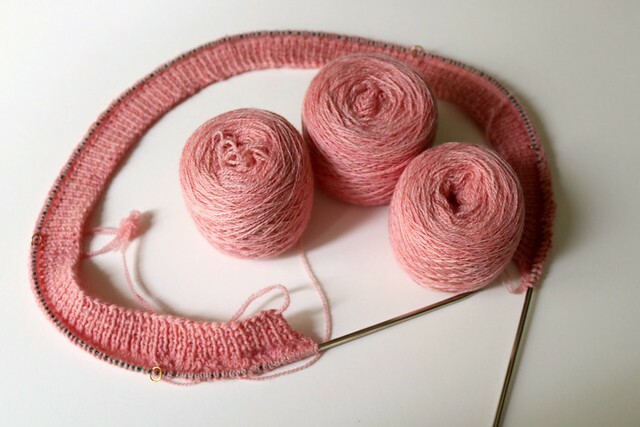 I love gathering the materials, poring over the pattern again to anticipate the process, and finally getting the first few stitches going on the needles, knowing that at some point, all of it will transform from a pile of materials and pattern and ambition into an actual, knitted thing. 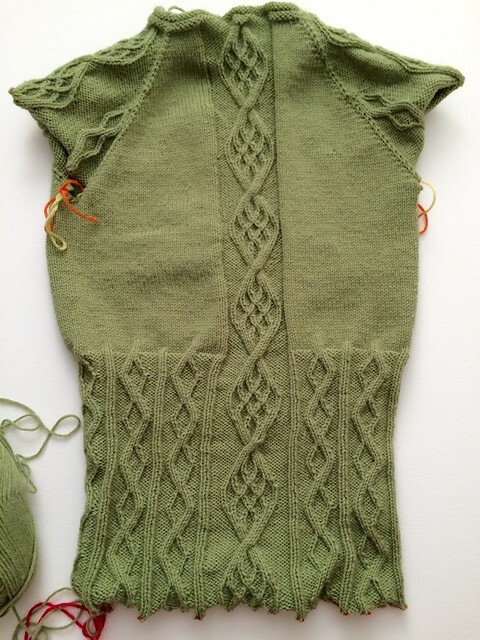 This is the beginning of the Diminishing Rib Cardigan by Andrea Pomerantz, from the spring 2009 Interweave Knits (my project is here on Ravelry). 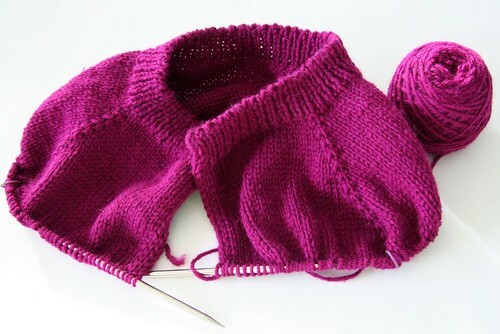 I’ve been wanting to knit this cardigan since I saw the preview more than a year ago, as it is exactly the type of sweater I like to wear over dresses and camis in the spring and fall. I went with this magenta because I am absolutely obsessed with this color lately. It also goes nicely with a lot of my spring and fall clothes, and I think that saturated hues kind of transcend seasons, so I can get a lot of wear out of it. I’m contemplating types of fasteners, and after reading the designer’s notes on this on her blog, I still haven’t decided, but I do think I’d like it to close at the waist. 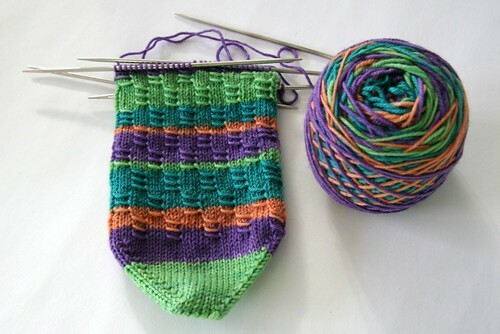 The second new cast-on is probably very predictable for me, another pair of socks. 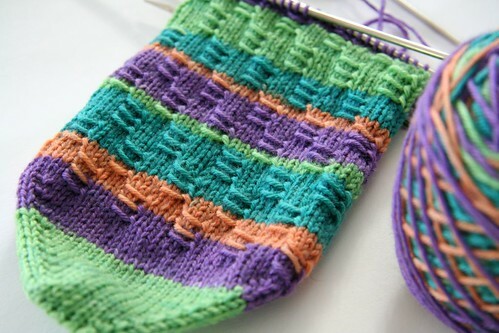 These are called Oh So Nikki socks, by Judy Sumner (PDF of the pattern here), another “underappreciated” pattern, for the SKA February challenge, which I described in my last post. 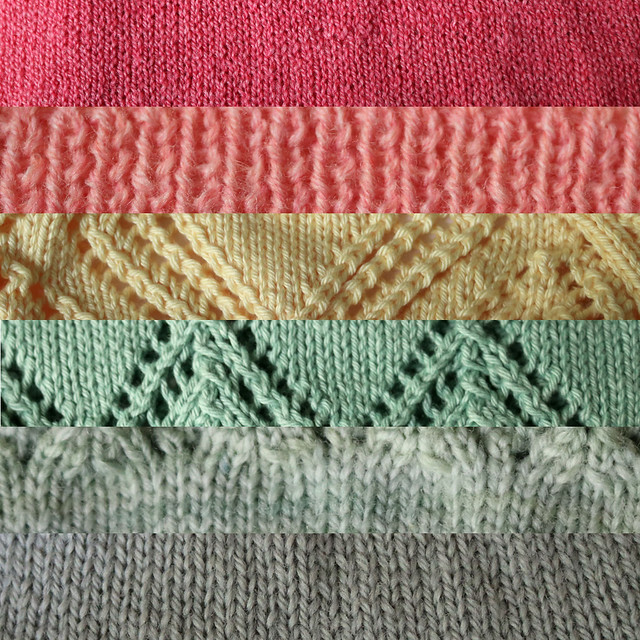 My project page for these is here on Ravelry. and these fit the bill and then some. I hope you have a Nikki in your life who will love them too. Isn’t that sweet?? How could I resist? 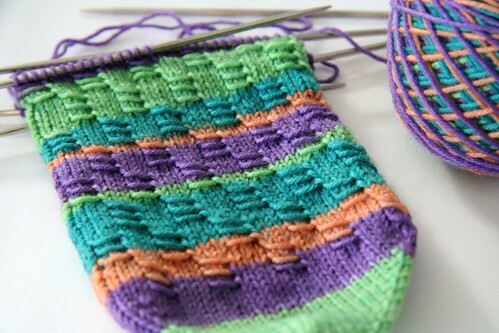 It also doesn’t hurt that the stitch pattern is super easy, fast, and fun. 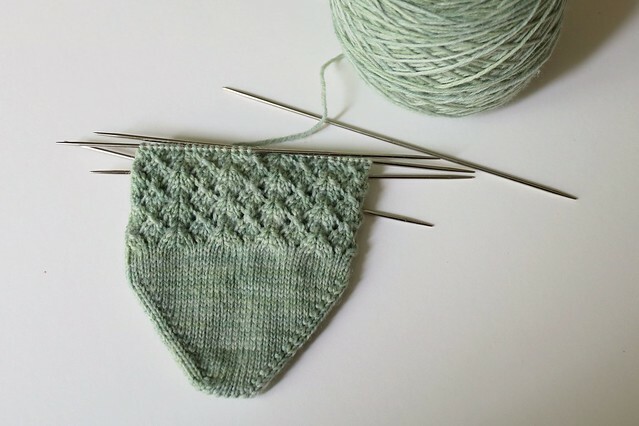 For such a simple pattern, I think it has a lot of visual impact, and I’m really enjoying this project!